Unlike most unreleased Apple product rumors, it is clear where the information is coming from, though not necessarily that it is true. A German consumer bonus program is advising customers that the current generation iPod nano is out of stock and that someone, though probably not Apple, is promising the 2012 iPod nano is coming soon. Unlike sightings on Amazon.com — the online retail giant and its partners often put up placeholder pages for products they think might be coming — this one looks pretty legit. Upon delivery of your Shell Drivers Club Award “Apple iPod nano 8GB blue” there is an unforeseen delay in delivery, there is pending, according to our information a NEW RELEASE of this device on the part of Apple. Thus, Apple is currently providing no more capable of the “old” unit. Is Shell Drivers Club passing along information from Apple or is something else going on here, like their content admin is a fan boy who “knows” a new iPad nano is coming? These things can be hard to parse. With less than a month to go before Apple’s annual September music + mobile things event, it certainly makes sense that iPod Nano supplies could be running short, especially if a 2012 iPod Nano is coming. It’s pretzel logic, but it works if you don’t stare too hard. Take the above 2012 iPod Nano rendering, for example, which looks pretty cool and some might be forgiven for thinking it official, but it’s not a leak. It’s not from Apple. Or the supply chain. Or an anonymous source. As to Apple telling partners, like a German consumer points reward program, that the 2012 iPod Nano is just around the corner, well, that’s just silly. What’s your take? 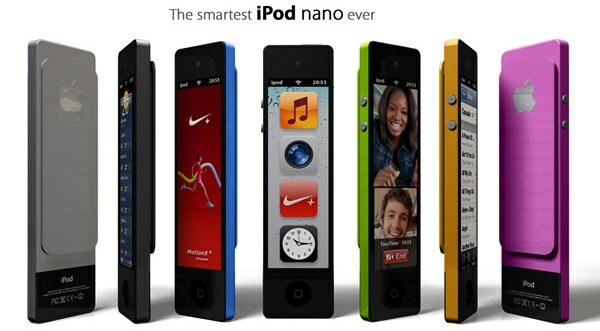 Do you think we could see a new iPod Nano this year?